APA members may vote on any one of the following four entries (A, B, C, & D). To obtain a ballot (APA members only) please contact terryk@engineeredwood.org. Energy Management Information System by ADM Systems Engineering Ltd. Description: ADM worked together with our client Flakeboard to develop a product design and execution approach. Metering requirements were determined and specified. The two main electrical transformers at the mill are sub-metered by approximately 40 power quality meters. In addition, fourteen oil meters, seven gas meters, and more meters for water and compressed air were added in and combined with production rates, temperatures, and other factors used to determine the overall performance of each EAC. Once developed and implemented, targets were developed for each of Flakeboard’s 48 Energy Account Centres (EACs) so that operators and managers can understand their goals and measure achievements. Tying the entire system together is RtEMIS, which divides the company into corporate, site, department, and EAC so that it can illustrate detailed energy targets for each EAC and identify saving and losses, both in dollars as well as energy. relative achievement of targets, how much energy has been used, and the cost or savings that have been realized. The data is pulled from each PLC or HMI station and brought together into one interface, which can be accessed from any site via RtEMIS’ web client. ADM has worked with many clients over the years to scope, plan and implement similar systems to meet their needs. We offer solutions from Energy Audit to System Adoption. Results: 6.6% reduction in energy consumption and 1.2MW demand, totalling $953,279 in three (3) years. 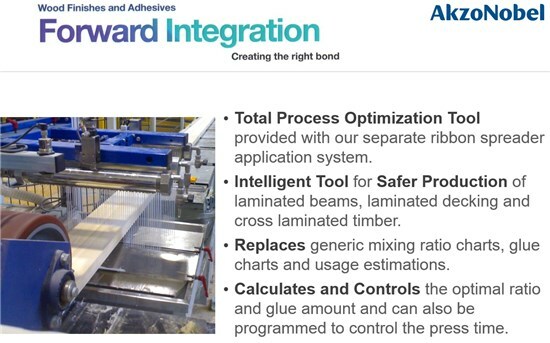 Description: Forward Integration replaces old generic mixing charts and estimations used in the manufacturing of laminated beams, decking and CLT panels. It measures the board temperature, planned assembly time and estimated pressing time to calculate the mix ratio and/or spread rate for optimal production parameters. The press time optimizer decreases pressing time while maintaining the safety margin set by the operator. 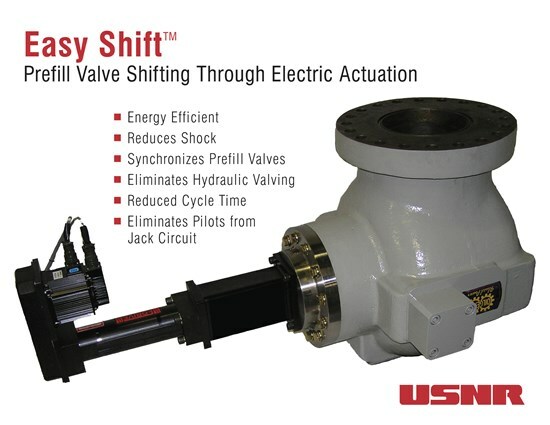 Shorter pressing times lead to lower power consumption and high productivity form existing labor schedules. The glue amount optimizer sets the system for optimum glue savings while reducing waste through lower squeeze out. Combine this with our separate ribbon spreader and glue waste is virtually eliminated. The safety guard provides real time monitoring of the gluing parameters for each board in the assembly. The gluing parameters can be logged and tagged with the plant identification of each assembly for thorough quality control documentation. 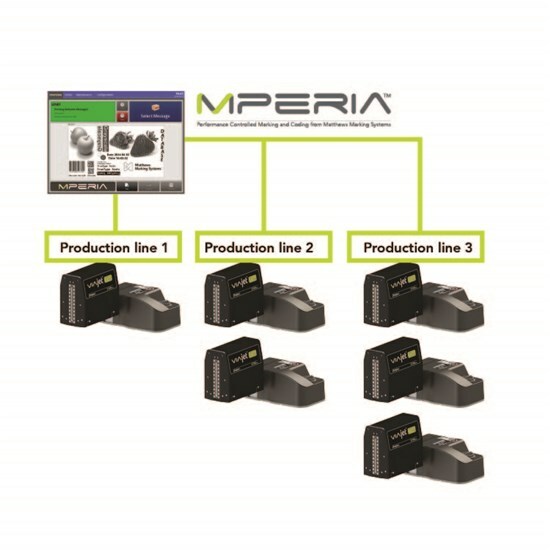 - Connects with peripheral devices like vision systems, bar code scanners, HMI and PLC’s. - Simplifies product labeling/identifying, changeover and setup from one central location. -Uses bar code scanner to select print job files. -Utilizes remote access capability for remote supporting of equipment. - Has an ethernet distributed printing system. Simple connections using common protocols and hardware. Description: Precise and synchronously metering large volumes of oil to the press main cylinders improves product quality, increases production volume and creates a safer work place. Accurately metering large volume of oil flow and delivering simultaneously to each of the four pre-fill valves for the main cylinders provides control of the bottom platen vertical movement, that was previously impossible both in the opening and closing of the press. Precise shifting of the press pre-fill valves eliminates inadvertent hydraulic stress imposed previously on press columns, crowns and bottom platens. 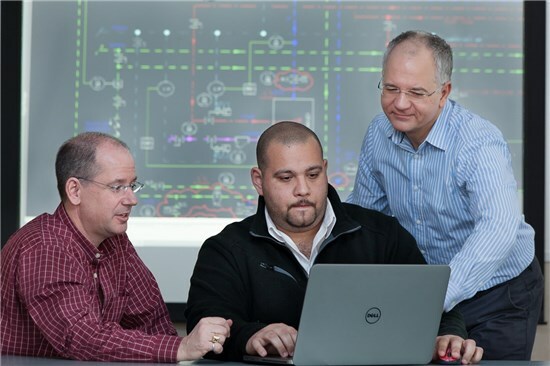 Significantly reducing premature structural failure and unplanned outage events.